Amazing the craftsmanship. Perfect. Very satisfied with this watch. This striking analog timepiece features an iridescent crystal that is highlighted with luminescent indices and three functional subdials. Finished with a black leather band and convenient pin buckle clasp. 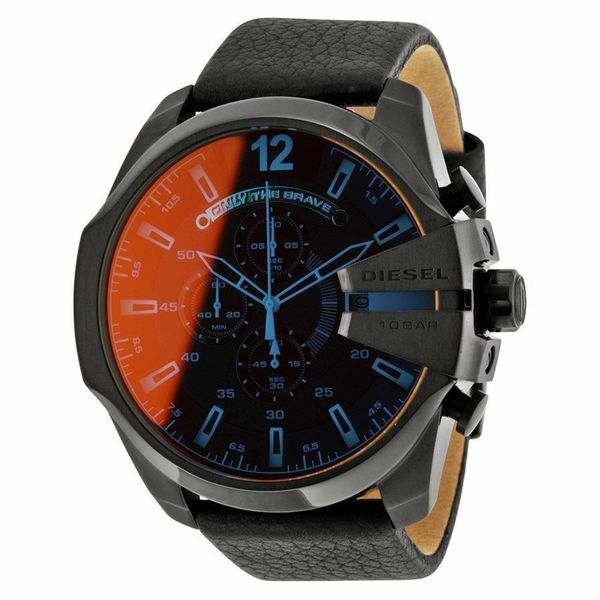 The watch designed by desel is very good and the colors are very funny and good and it's matching with a lot of things. Definitely won't regret this purchase. The look of it is great!! The size of the watch. Its a gift for my dad who has very large arms and wrists.